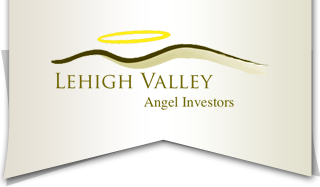 The Lehigh Valley Angel Investors Group prides itself as a congenial group of motivated, business minded professionals with a desire to achieve a Win-Win environment with our funding partners without jeopardizing the anonymity of its members. Our membership list is therefore deemed confidential to the public domain. LVAI originated from The Lehigh Valley In 2011. Our purpose is to provide eligible entrepreneurs that possess potentially lucrative opportunities with capital in the form of seed or growth funding. All LVAI members are "Accredited" investors with "hundreds of years" of combined experience and business acumen in the development and management of successful organizations. This enduring support has proven to be a significant asset to our investment partners. LVAI was originally formed to fill a void in Angel Investing within the Lehigh Valley, an area that has expanded to the Northeast US and beyond. Investments are usually made as a Group. However, separate funding by individual members does occur. We have enjoyed a steady growth to over 50 members. All qualified applicants for membership are invited to attend a monthly meeting as our guest before considering joining our family of investors.